YOU GUYS!!!!! 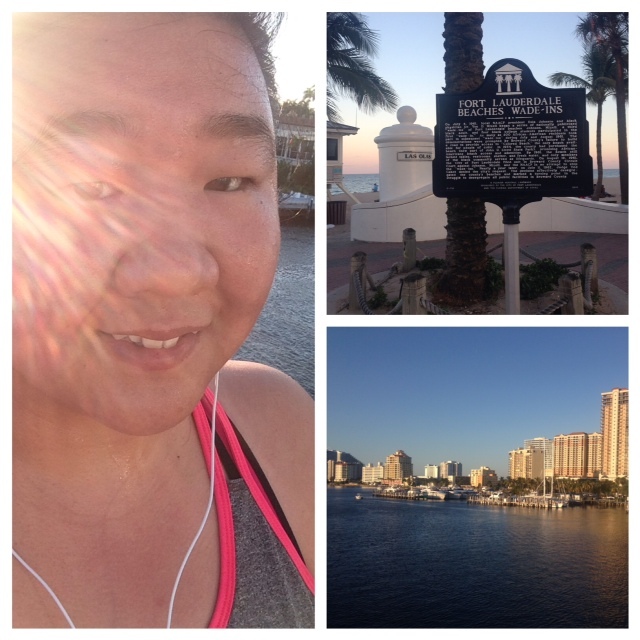 Last night I did my fastest four miler EVER! Since it was supposed to be just an easy 4 I didn’t bother to look at my Garmin much, I just kind of went with the flow. When I got home my eyes almost popped out when I saw my splits haha. It’s been just a little over a month since I’ve started working with my new coach and I’m already seeing the results. In many ways I felt really restricted by my former coach at the end. Not only did she not push me to get faster, but when I would speed up she would tell me to take it easy. I’m so grateful for all that she did for me (and we still talk), but it was definitely time to move on. 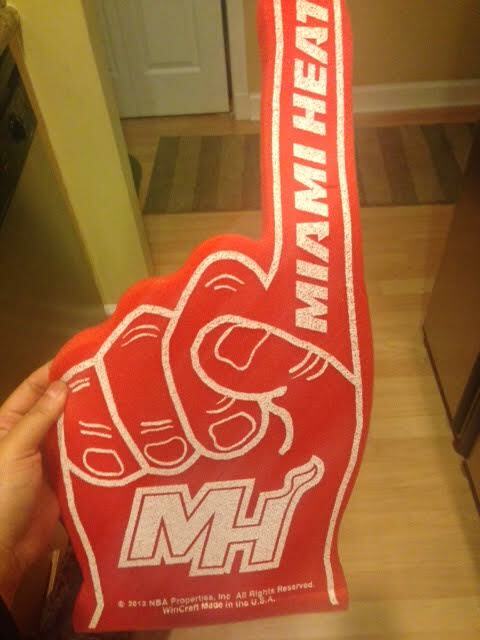 Tonight is the HEAT game, so you know I got out my lucky foam finger! It’s been with Adam and I to every playoff game we’ve been to since 2012 and really helps the team pull out a win. And in other news: I’m a bad cat mom. 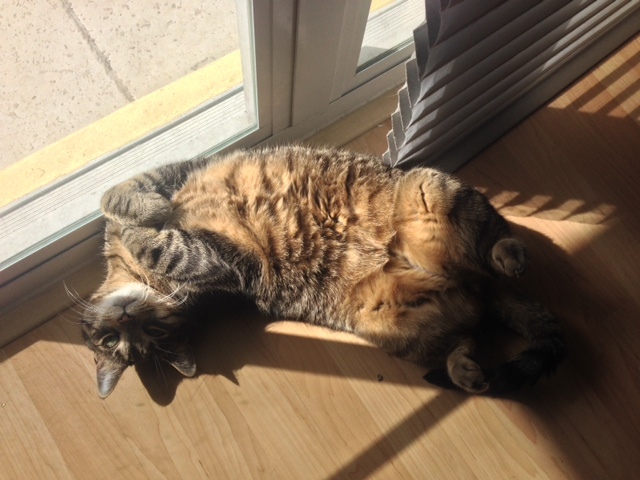 I am fully aware that cats can get sunburn (and even skin cancer) from laying in windows, but yet I never put sunscreen on Cecil because he hates it. I will now be applying sunscreen to him every day whether he likes it or not. In general any non-toxic sunscreen approved for babies should be okay for your cat/dog, but you should check with your vet since some active ingredients approved for babies are not okay for cats (but are okay for dogs). Bullfrog SPF 15 for babies is what I’ll be using on Cecil. (I probably should have just emailed Meg about this since I am sure she is the only one who will care even the slightest bit, haha). How old is your pet? 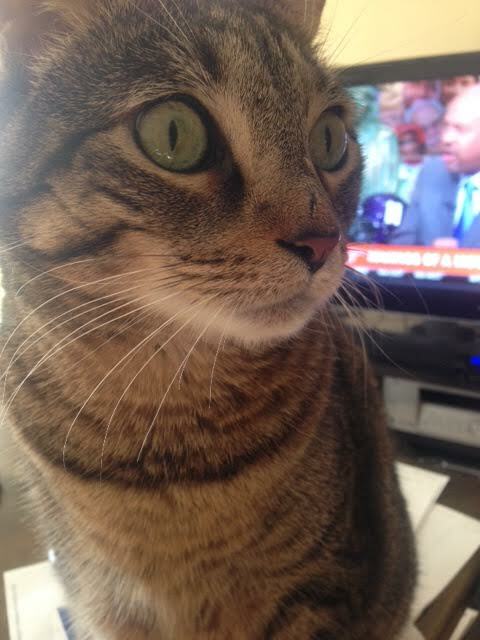 Cecil will be turning 7 this August. The vet wants to do blood work since he’ll technically be a senior this year. I don’t know how he can be a senior when he’s still a tiny little baby? Next Post Working on Breathing Techniques When Running! I am so sorry that you associate Miley and the foam finger now – yuck! Congrats on the 4 miler, that is awesome. That beach pic is amazing, nothing wrong with that view. I’m super happy the new coach is working out, nothing like good support to make us better runners. Thank you! GO HEAT!!! The game last night was awesome!!!! Congrats again on your PR — so fast! And, I had no idea cats could get sunburned – I guess I never really thought about it. Have fun at the game!! Cats with white fur are more likely to get it, so I never worried too much about Cecil. Poor little guy! CONGRATULATIONS!!! Great work!!! That’s so good that you’re pleased with your new running coach too – definitely the right decision you made. Haha, thank you Lou! 😀 I don’t think Cecil agrees about me being a good cat mom right now though. The sunburn is making him a little cranky! second, i love that you had such a great run. after feeling less than excited about your running lately and then to kill a workout like that?!?!? awesome. pure genius. Thank you!! YES, it feels so good to finally be out of the slump and picking up mileage and speed! Oh my I have never thought about cats getting sunburned! I hope your little guy is feeling better soon. Congrats on your speedy run! Congrats!! Speedwork really does pay off!